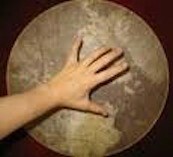 Drumming causes profound integration of ancient rhythmic techniques with contemporary therapeutic brain synchronization exercises. Rhythmic sound generated by a master drummer can captivate and move the conscious mind out of the way; integrating messages directly to deeper, less conscious realms of the mind that influence behavior. With moving, chanting, breathing and/or drumming the therapeutic aspects are greatly magnified. Rhythmic breathing and movement creates an alpha brain wave state causing muscle tension to be reduced and releasing endorphins, helping us to cope with pain, fear and anxiety. A higher state of awareness manifests. We'll practice this rhythmic integration through out the day as we work on our frame drumming skills. 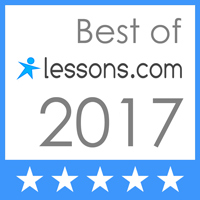 Join us as we really learn how to drum well and build upon our techniques from moment to moment with master John Marshall. You will come away as a better drummer and at home with the frame drum! Level 1 - is an introduction of basic frame drumming techniques. We'll be working on our technique, the sounds of strokes, stroke combinations and jingle exercises. Excellent for beginners up to more advanced players. Level 2 - we will work on more complex material and some new techniques from Central Asia, Azerbaijan, and the Middle East including snapping sequences and split hand techniques. John Marshall specializes in the Frame Drum, a small or large single headed drum with or without jingles, played with a variety of sophisticated finger techniques found around the world. He will bring his expertise to these excellent classes. Join us and register today! for either or both workshops HERE. Learn more about John Marshall. Tell people about it! Use the Social Stuff below.